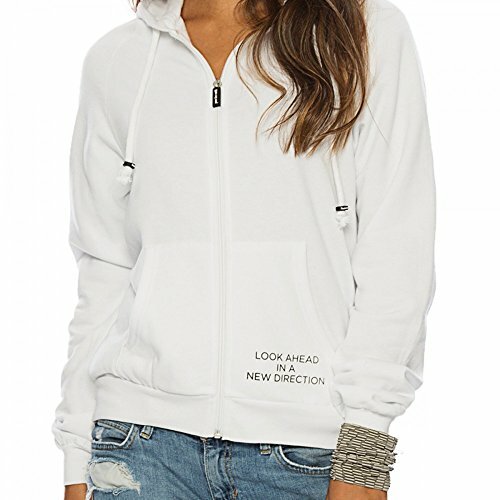 The Peace Love Oprah zip hoodie is now in fleece! Our fleece zip-up sweatshirt features a natural fit, matching zipper, bound cuff and hem, front-facing kangaroo pockets and a convenient, adjustable hood with coordinating drawstrings. Consider ordering a size down if you prefer a closer fit. 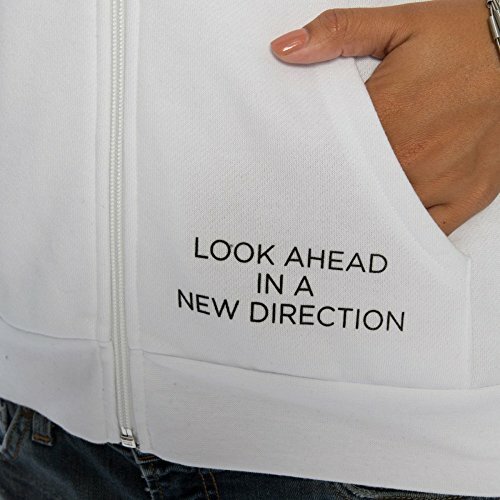 At front, a quote reminds us to always "Look ahead in a new direction" and on the back, an oversized "Peace Love Oprah" design is printed centered and an inspirational Love Quote on the hood. MATERIAL: 60% Cotton, 40% Polyester CARE INSTRUCTIONS: Machine wash cold with like colors. Wash inside out. Only non-chlorine bleach when needed. Tumble dry low. Remove promptly and hang. Medium iron if needed. Do not iron on print / motif.